TORONTO — Home Capital Group Inc. says mortgage brokers who were suspended for allegedly falsifying income information generated roughly twice as much in mortgages as the company originally estimated. Shares in Home Capital were trading down 4.5 per cent on the TSX as of mid-morning Thursday, at $31.65 a share. Shares are down more than 20 per cent since July, when the company cut ties with 45 mortgage brokers alleged to have falsified mortgage applicants' incomes. 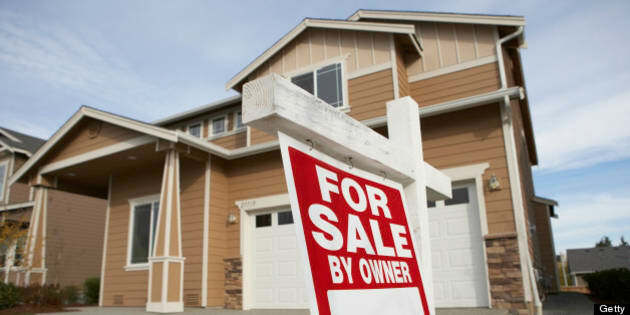 In its third-quarter earnings report, issued after markets closed on Wednesday, the mortgage lender said the total value of outstanding loans generated by the 45 brokers that it cut ties with was $1.72 billion as of Sept. 30. That represents nearly 10 per cent of the company's $18.17 billion of outstanding mortgage loans as of that date. Home Capital said the balance has declined as customers have paid down their loans. As of June 30, the total amount of loans generated by the suspended brokers was $1.93 billion, the lender said in its most recent earnings release. Home Capital had previously pegged the figure at $960.4 million — or 5.3 per cent of the outstanding loans on its balance sheet. The lender says it is continuing to actively monitor the mortgages and that so far, it has not found any unusual credit issues. The investigation will continue into 2016. Home Capital’s third-quarter earnings fell 1.8 per cent to $72.4 million, or $1.03 a share.